Today is the last Friday of the month, which means it’s time for another update to the Got Goals? Bloghop. For those of you who are unfamiliar with the bloghop. A few of us writers have set some crazy, huge or hugely important goals and are working toward achieving them. To keep us accountable and motivated, we post monthly updates on our progress. You’re welcome to join in too. Just go here for more information. I went into September with multiple challenges facing me. For one thing, the book I’ve been wanting to work on (the Western Romance) ended up needing to be rewritten again. Usually, that’s not a problem, but I really battled to get into writing it again. Along with that, I’ve managed to do some freelance work and work on my startup. I actually have a whole slew of things I want to do this coming month, so let’s have some fun with seeing how far I get. 1) It’s time for me to start revising Book 3 in The War of Six Crowns. I’ve given myself enough time off from it, so I should be able to see the glaring faults that I might have been blind to before. 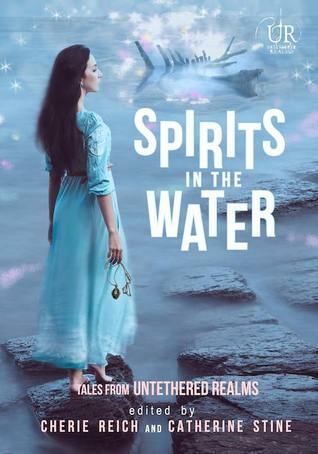 4) I want to help with marketing this year’s Untethered Realms anthology, Spirits in the Water. Last week, I didn’t update anything. Mostly, it was because I had a mad week, including one day where I was sitting on a film set, pretending to watch tennis for about twelve hours. Honestly, though, I’ve been quiet last week for another reason: 911. Monday came and I didn’t know what to say. I remembered the day our lives all changed, but I couldn’t find anything to say about it. It would have been good to say that it’s brought us closer together, but recent events have all but proven that it has not. How sad it was? That’s ridiculous, given the cost of life, both on the day and as a result of the aftermath. It’s not a sad day. It was and still is a tragedy. Do I say I’ll remember? That I’ll never forget? Again… pointless because that goes without saying. But what does “Never Forget” even mean? Last year, I thought of it as a call to remember the dead, the loss of innocence. Last week, it felt like recalling an old grudge. So really. I’m at a loss. And I’ve been at a loss for days. Heads-up to everyone wanting to support Hurricane Harvey victims: There’s a charity auction going on right now here. If you’re planning to self-publish, you can bid on my ebook and paperback formatting offer. I’ve been away from the Insecure Writers’ Support Group for a while, but yesterday I decided to get right back onto that bandwagon. 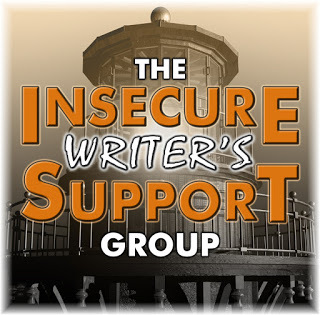 For those of you who aren’t familiar with IWSG, it’s the brainchild of Alex Cavanaugh, where us writers can go to share our fears and insecurities once a month, on the first Wednesday. In addition, there is also an optional extra question for those of us who just don’t feel that insecure at the time. I have a huuuuuuuuuuuuuuuuuuuuuuuuuge insecurity this month, but I stupidly made that my vlog post for Friday. Lucky me, I also have another, smaller, niggling insecurity that I’ve been trying to ignore. And that big insecurity has just made that feeling much worse. In short, I feel like nothing’s getting done. Which is a stupid feeling for me to have, as I literally have a list every day, where I’m checking off task after task that I’ve finished. That’s a lovely pace to maintain. And I did it while having a day-job. That’s not the worst, though. The worst is that I’ve made the decision to become a full-time writer a year ago. Did that help me speed up? Nope. Because now that I have more time for writerly things, I somehow also have less time to actually write, because to be a writer who isn’t also a starving writer, I have to do other writing-related jobs for money. This part is surprisingly successful. I haven’t been able to write in more than a month, now. Mainly because of the crippling insecurity around that other book. But also because I conveniently have a million other things to do, which makes it so easy to procrastinate. Anyone else feel like they’re stuck in mud with their writing? I’d ask how you get over that feeling, but I already know the only thing to do is actually stop moaning and start actually working on something again. Hey everyone! Before I get to today’s vlog post, I just wanted to let you know that I signed up for a charity auction for the victims of Hurricane Harvey. I’m offering to format a book for paperback and ebook, so if that’s something you need, you might end you getting my services for a steal. You can click here for more information. Okay! Time for today’s vlog. As always, I left the script at the bottom for those of you who just can’t get into the vlog thing. Enjoy!